Note: This is article is a repost from the early days of this blog. This is one of my favorite images and I’m hoping that new visitors to this blog will enjoy it. The Renaissance Center in Detroit, Michigan was built in the mid-70’s. At the time, the thought was that this new set of buildings would help provide for a ‘renaissance’ of the city of Detroit. Alas it wasn’t to be. The building was more of a fortress than anything else. It had large berms which faced the main street, and the other side was the river. This created a structure which was more of an island than anything else. 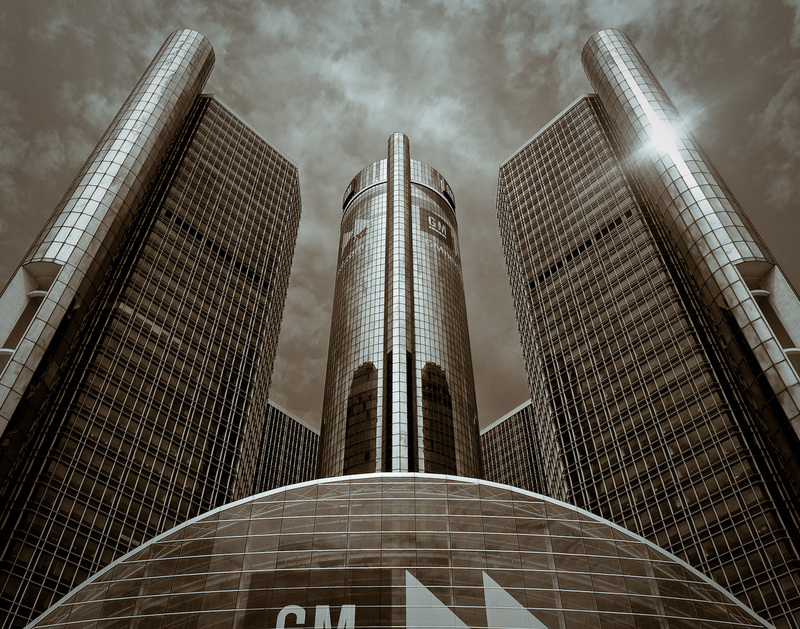 A couple years ago, General Motors purchased the buildings and moved it’s world headquarters to it. There was a bit of irony in this, since the Renaissance Center (aka ‘RenCen’) had significant funding from the Ford family. To GM’s credit, they spent a great deal of money reworking the building. They removed the berms in front which helps open the center up to the rest of Detroit. They improved the interior, which was previously dark and cold. The built a nice atrium in the back, which ties nicely into the Detroit Riverwalk. However, we now have a new irony as it relates to this building. 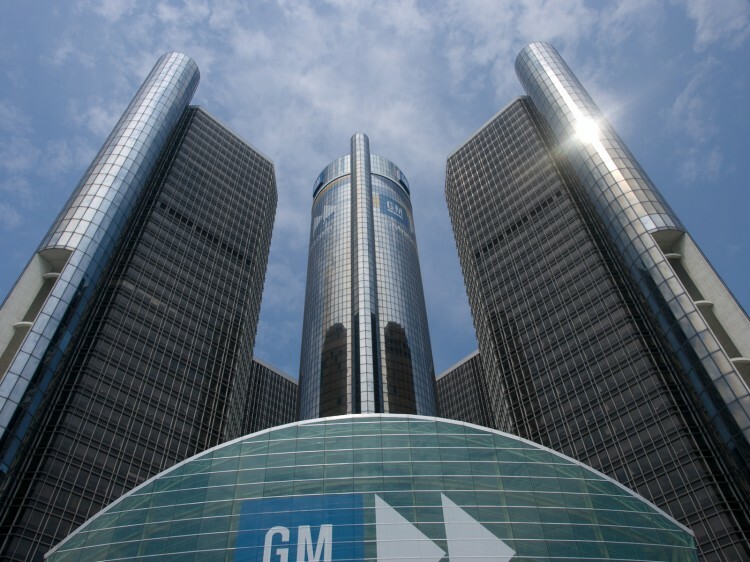 GM is hanging on by a thread financially and may not survive, whereas Ford is doing much better. Perhaps GM will have the last laugh in all of this and will manage to pull through. If so, it may be appropriate that it’s headquarters is in something called the ‘Renaissance Center’. This is an absolute ripper of a shot – Excellent! I’m not surprised it got recognised. I love the image and would love to photograph it. Great job. One suggestion. I would crop just above the GM. And make it all about the abstract building. I feel the logo takes away from the image.